Shoot! magazine’s famous ‘Focus’ feature sets its sights on goal-poacher Fred Binney. Nothing quite dates this article more than that groovy font for Fred’s name. Biggest disappointment? 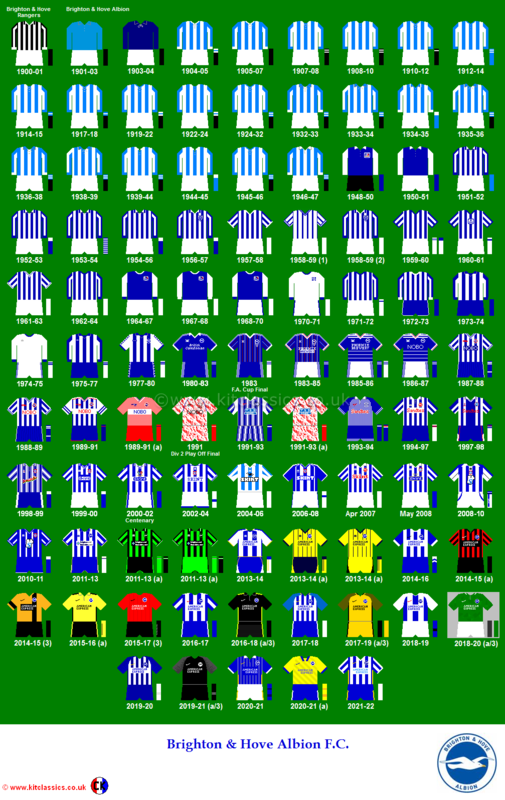 ‘The performances of Brighton during 1974/75 and 1975/76.’ Interesting! That would be great. Have you access to any TV footage? The Westwood TV studios in Plymouth burnt down in the late 80s and with it went a lot of old football highlight reels of Dads days at Exeter and Argyle. I doubt there was much coverage back then but if you know of any leads that would be great. My name is Michael Lucas from Canberra Australia. I met your Dad and Mum at the side of the Avon and Kennett Canal in Bath. I bought some knitting from your Mum and chatted a few times with your Dad next to his canal boat. I’m sorry I had never heard of him before he said his name and that he used to be a footballer. I ran each day past the boat getting fit for the World Masters Games in Turin. Your Dad is a real gent and I enjoyed our chats. Could you please remind me to him and say my team the Canberra Old Boys won a bronze medal in the Over 55 football category in Turin but I fractured my wrist. It took me a while to Google him but it was worth it. Pity we didn’t have him in our team we may have won Gold! winning a bronze medal in the over 55 football category was a wonderful achievement, wish I could have been there,will think of you when we take the boat to Bath at Xmas.Keep the jogging up . Sadly, I don’t have any video footage of your dad. I’ve tried looking for his days at Brighton and his other clubs but to no avail. If I do find anything I will let you know. What is your dad up to these days? He is fondly remembered by those who saw him at the Goldstone. He’s retired now and tries to spend as much time on his narrow boat with my mum as possible. He is invited to go back to Brighton to walk the pitch every year and loves it when he has the time to get there. Apart from that he stopped coaching Plymouth Uni this season, but I suspect he misses it. Thanks! Would he be interested in answering some questions from Albion fans for this website? I will ask and get back to you. He is not really interested in being lauded and doesn’t look for any kind of adoration but I’m (obviously) very proud of him. I can’t however talk for him! I’ll speak to him tomorrow and get back to you. Hahaha! Having read a few threads, I’m sure they won’t be! 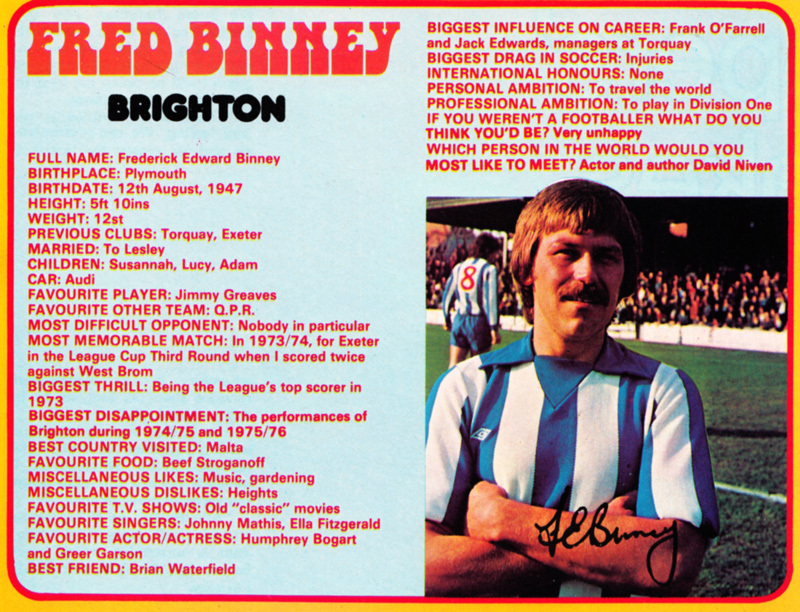 I mean he doesn’t really like the attention, but he does love Brighton HA and remembers his time there fondly. I’m sure he’ll be happy to get in contact. Great, so please could you ask him if he’s willing to answer some questions from some Brighton fans? If so, I will post a thread on North Stand Chat to compile a set of ten questions. Hopefully, I’ll then liaise with you to get typed answers back for me to post on this blog. How does that sound? He’s more than happy to answer any questions you might have. Would it be easier to IM him through FB? If not let me know your questions and I’ll email them to him and put you in direct contact. Probably best via email. Just to let you know, I’ve asked many Brighton fans and now have lots of questions. I will whittle them down and put them in a logical order over the next few days. Hows it coming with the questions?